Hello and welcome back to another update of Forgotten Hope. Today we have a vehicle that most FH1 players should be very familiar with, and a very exciting update to an already existing FH2 gameplay feature. 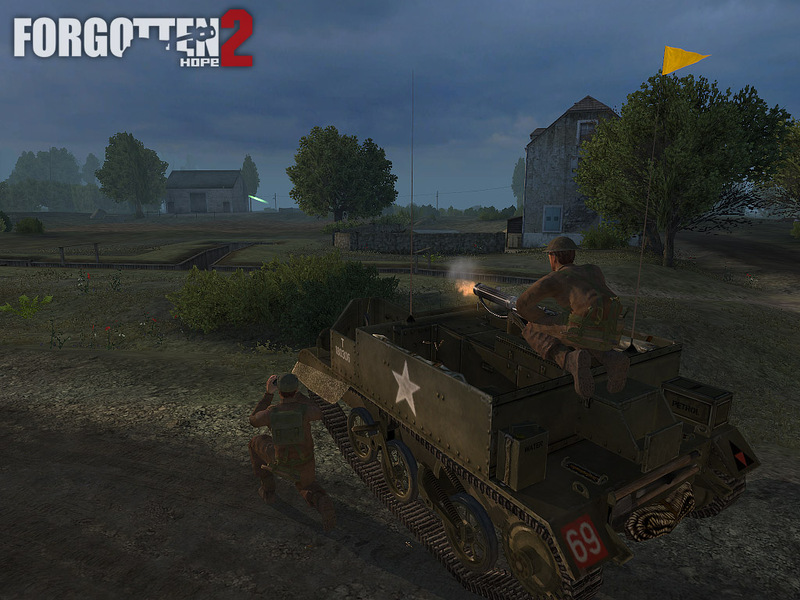 Up first we have the first self-propelled artillery gun to make an appearance in FH2! The SdKfz 124 Wespe is a German mobile artillery piece that saw action from 1943 to 1945. When the need for a self-propelled artillery gun arose, the Panzer II was chosen and removed from service after its inherent drawbacks became known during the Battle of France. The Wespe was little more than a Panzer II chassis with the turret removed and a 105mm howitzer and gun-shield added. 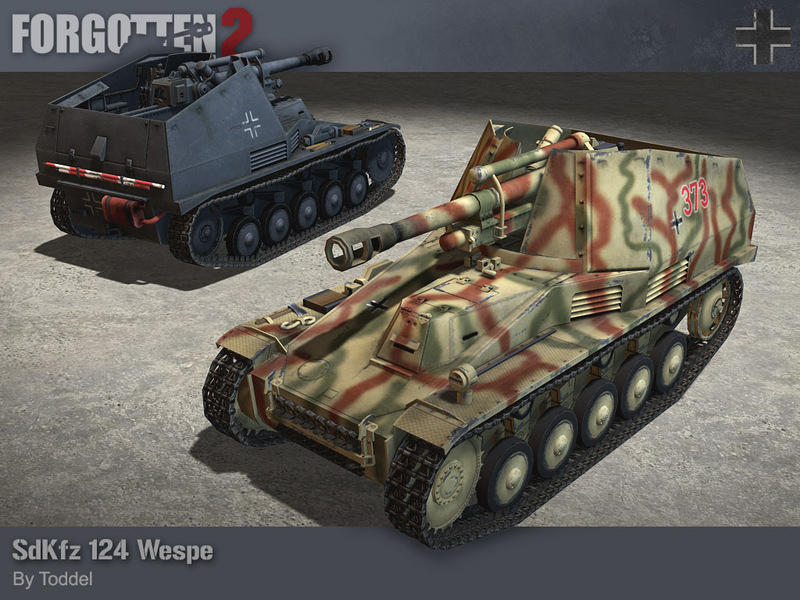 It first saw action in 1943 on the Eastern Front and proved so successful, that the German high command ordered that all Panzer II production be reserved for the Wespe, which effectively canceled other projects such as the Marder II. By mid-1944 682 Wespes had been produced along with another 158 weaponless ammunition carriers. The SdKfz 124 Wespe was modeled and skinned by Toddel. With the Wespe we can transition nicely into our next announcement, which is that, coming in 2.3, FH2's artillery code will support mobile artillery guns. Platforms like the Stuka zu Fuss will finally be able to provide accurate in-direct artillery support no matter where they are, by using the same system that is applied to all static howitzers and mortars. Even better, is that the average player won't notice any difference between the two systems. 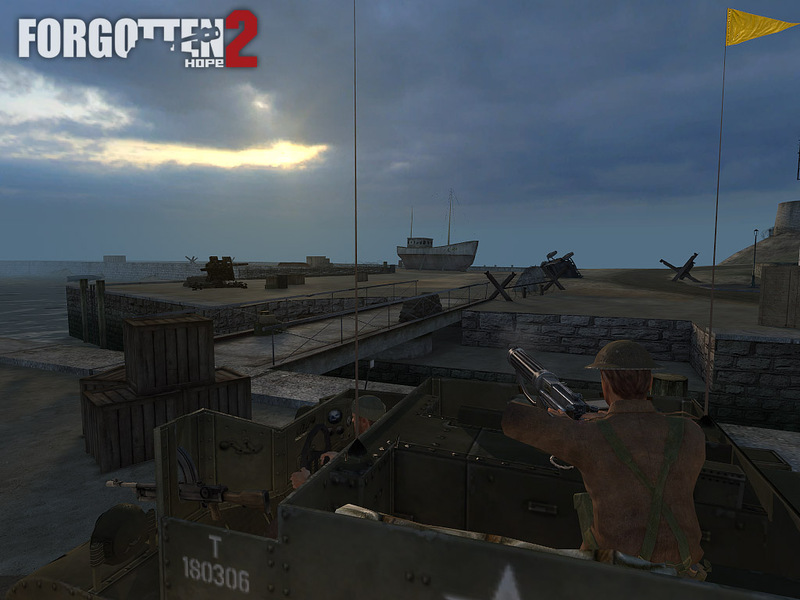 All the player has to do is wait for the vehicle to come to a complete stop and account for the recoil of the gun. 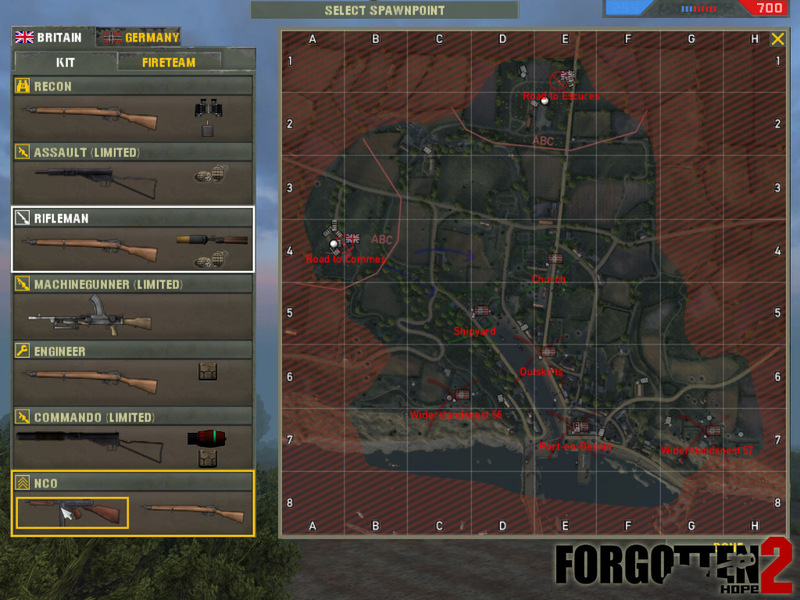 The original artillery code was created by ctz, and was tweaked by Spitfire05 to allow for self-propelled guns. Hello and welcome back to another update of Forgotten Hope. For today's update we have in-game screenshots of another variant of the most produced armored fighting vehicle of all time, and a new system that will hopefully bring more importance to the NCO role. First up we have screenshots of the Universal Carrier. 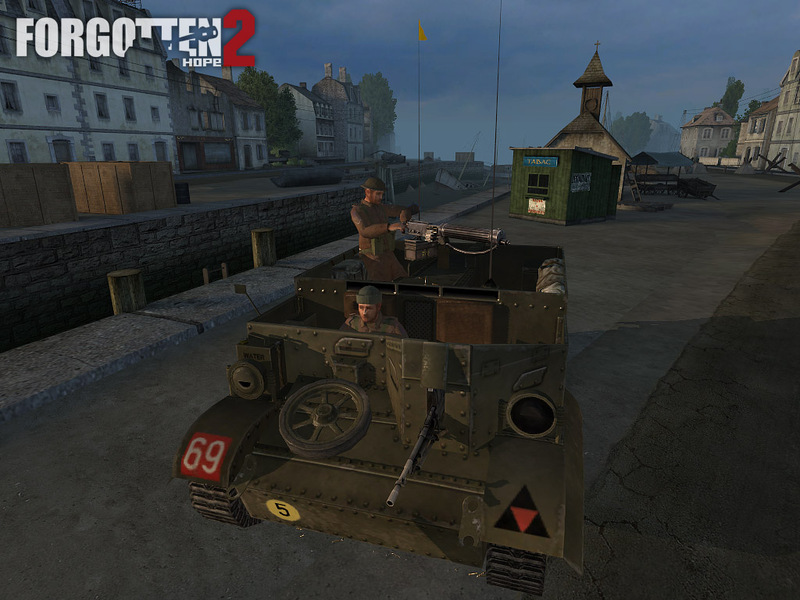 However, this version of the famous APC has been fitted not only with a Bren Gun in the front slot, but also has a .303 Vickers light machine gun in the rear for extra firepower and complete 360� coverage. 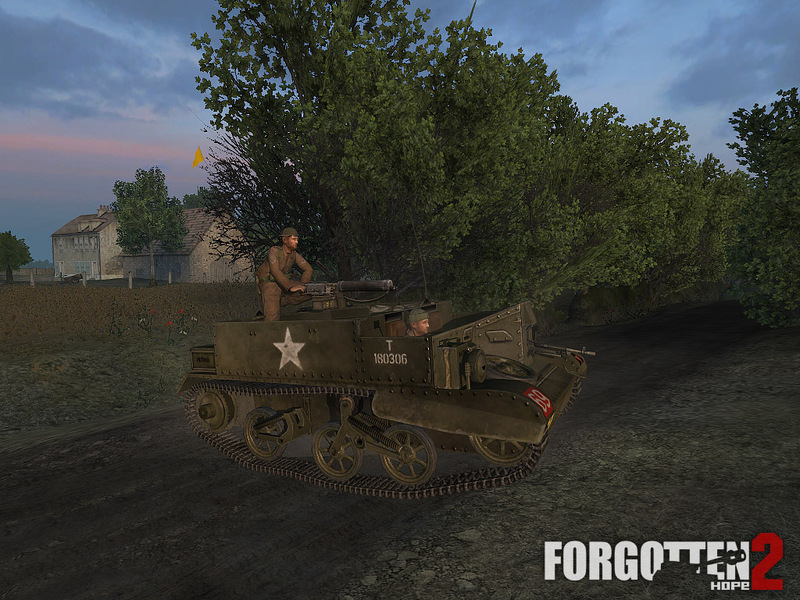 The Universal Carrier with the Vickers gun was made by Kev4000. Next up we have a feature that has been requested for some time, and has finally come to the light in FH2. From now on, all squad leaders and battlefield commanders will have the ability to choose between a submachine gun or a rifle as their main weapon. As you can see below, all you have to do is click on the weapon you would like to spawn with and join the fight. 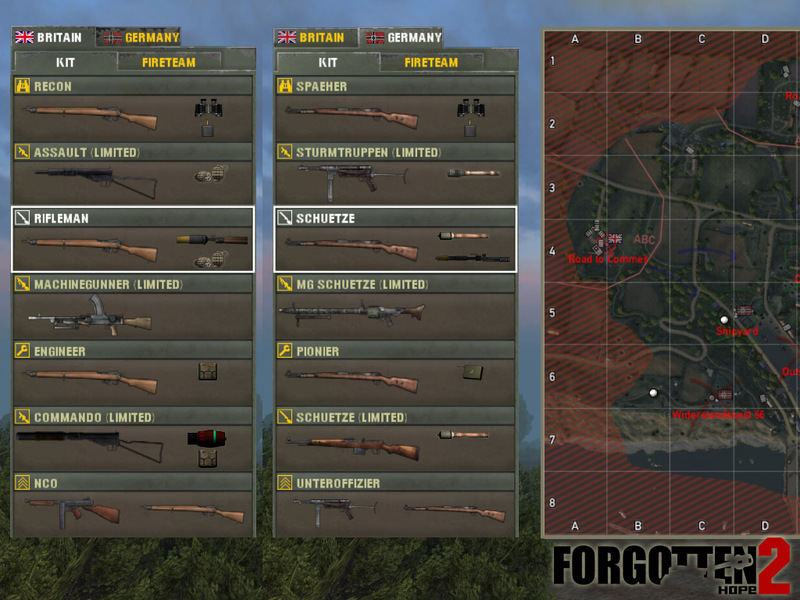 With this new feature, the squad leader will now have the flexibility to choose the appropriate weapon to suit the engagement at hand, be it a long or short range fight. Unfortunately, due to the variety of kits on each FH2 map, we cannot expand this to other classes, but are pleased to have it at least be present for the NCOs. 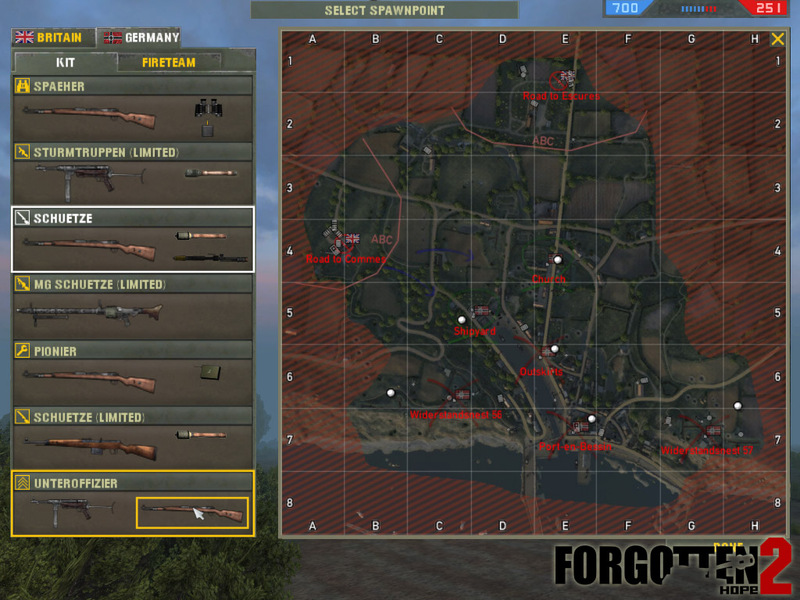 This feature will be available on all maps to all armies present and future, and was coded by Spitfire05.